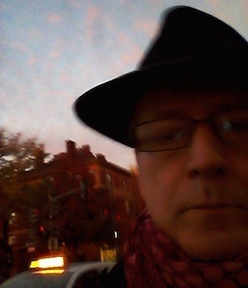 One of the staples of contemporary crime writing is the detective struggling against a police hierarchy that will not allow him to solve a case, because of sensitive social or political issues, usually concerning people who are for various reasons above the law (sometimes "national security," sometimes social prominence or political clout). Two examples I can think of are the forthcoming Collusion by Stuart Neville, wherein the "special branch" of the Police Service of Northern Ireland (though no longer called the special branch) will not allow Inspector Lennon to investigate what's actually happening because of the lingering power of certain parties formerly at war in the Troubles. In almost all of Donna Leon's Brunetti novels, the detective is unable to bring the criminal to justice not because he doesn't know what happened but because the villain is too well connected socially (to prominent citizens or the government) or criminally (to the Mafia). In today's "foreign forgotten friday" entry we can see another version of the theme: Repeatedly, Lieutenant Boruvka of the Prague police, in 1968, cannot bring murders to justice because Communist Party members are untouchable or the crimes committed reveal truths that are politically untenable. Josef Skvorecky wrote the stories that make up the four books featuring Boruvka in the years just before and just after his emigration from Czechoslovakia to Canada in 1968. 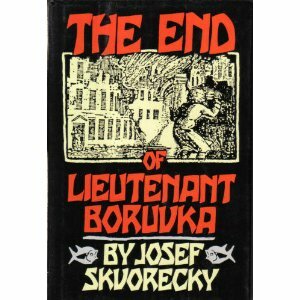 The last book (The Return of Lieutenant Boruvka) deals with the detective after he has himself fled the Eastern Bloc, and the first two books, Sins for Father Knox and The Mournful Demeanor of Lieutenant Boruvka, are collections of entertaining puzzle mysteries with social and political overtones. The End is a collection of stories that collectively add up to be a novel, concerning the days just before and after the Soviet invasion that closed off the Prague Spring in '68, not from the point of view of political activists, students, etc., but from the point of view of a melancholy civil servant, a cop, who retains enough humanity to be dismayed by the obstacles thrown in his way by those who would conceal what really is happening. The stories frequently feature Boruvka's young daughter Zuzana, a who is, at the beginning of the book, pregnant and unwilling to name the father but is at the point of marrying someone who isn't. The cases concern a prostitute who has overdosed on an unlikely drug, a missing-person cold case that is revived when a body appears, two teenage girls shot with a military weapon, a murdered delivery driver who came up against corrupt colleagues, and the death of a retired bureaucrat who may have been investigating "anti-state activity." Boruvka isn't brilliant but he's dogged and humane, qualities that might serve him well in other circumstances but here cause him grief. He provides an entertaining if melancholy glimpse into the crimes committed by individuals and by governments in a previous time, as well as the personal tragedies and small triumphs that a humane person may suffer. Maj Sjöwall says that the subtitle of all the Martin Beck novels she wrote with Per Wahlöö, The Story of a Crime, refers to the social welfare system of Sweden in the 1970s, not to the crimes committed by characters in the novels. Skvorecky tells the story of a different crime, that of the Soviet-imposed Communist government and bureaucracy of Czechoslovakia in the 1960s, told, as with the Beck novels, through the filter of the ordinary crimes that Boruvka has to deal with. Skvorecky has used the detective form elsewhere (notably in The Miracle Game), but never with as light a touch as in the Boruvka stories, a lightness that is a perfect foil for the heaviness of the interference Boruvka experiences and the gloominess of the social milieu. I'd love to read a book set there. We were there in 1990 just after the wall fell. Couldn't help but remember those years. Skvorevcky also wrote some science fiction with absurdist slant.